The bulky one on the left came with our new Kenmore Progressive vacuum cleaner. It’s fine for dust on a flat horizontal or vertical surface and totally useless for dust on actual objects. It’s supposed to snap around the handle at the end of the cleaner’s flexy hose, where it helps make the entire assembly too large and too clumsy, or on the end of the “wand”, where it’s at the wrong angle. 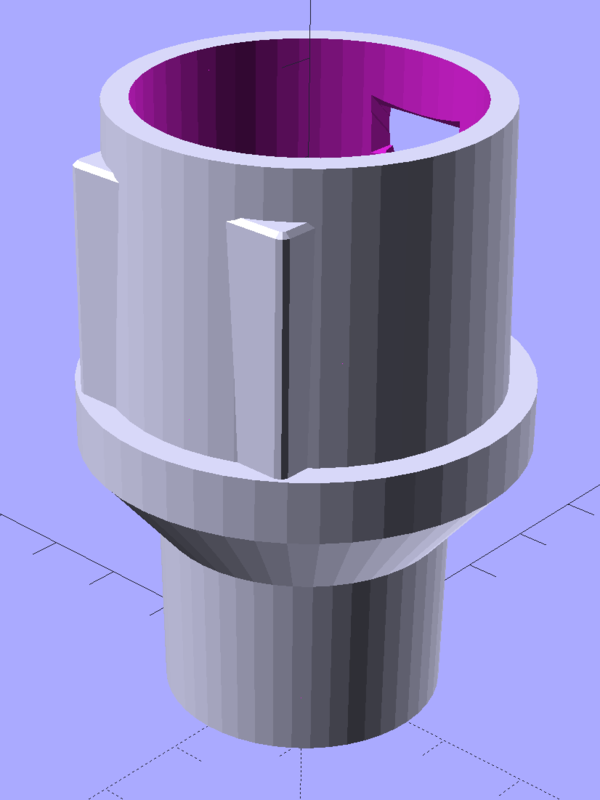 The bonus outer shell slides around the stubby bristles in the unlikely event they’re too long for the flat surface at hand. 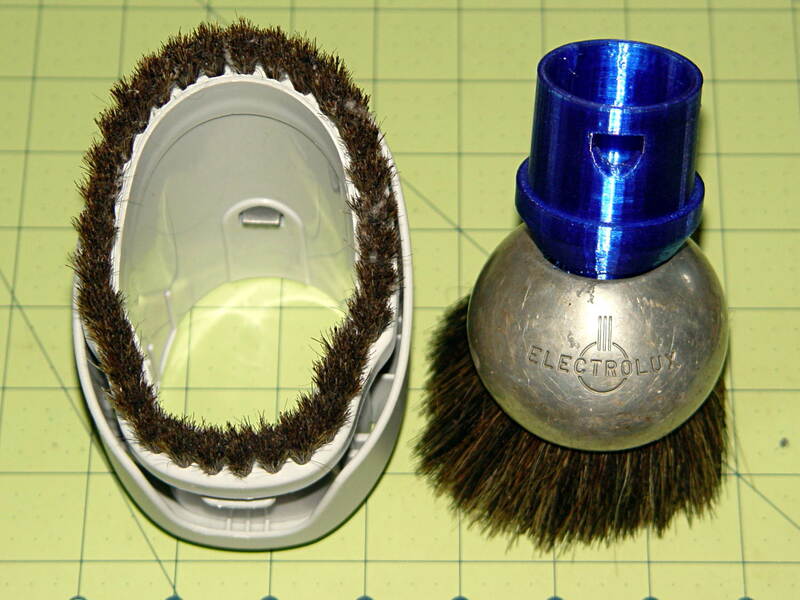 The brush on the right emerged from the Box o’ Electrolux Parts that Came With The House™, must be half a century old, and consists of a cast aluminum lump with various holes milled into it, adorned with luxuriously long and flexible horsehair. Suffice it to say they don’t make ’em like that any more. Heck, they probably don’t make horses with hair like that any more, either. The short snout fits neatly into the space available inside the ball. The abrupt ledge at the top of the snout, of course, didn’t work well; I rushed the design for a show-n-tell.